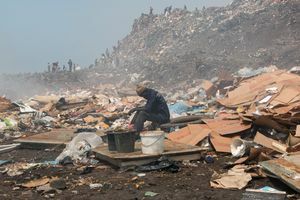 Mbeubeuss is one of the largest open landfills in the world, located in Dakar, Senegal. 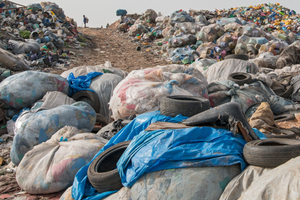 It spreads over 175 hectares and receives over 475 000 tons of garbage each year. 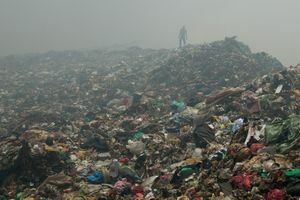 The dump poses big ecological risks as it pollutes the land, water and air. 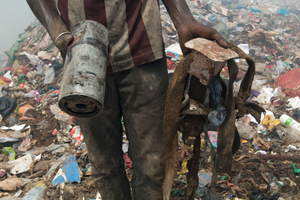 But more than 1000 waste pickers make a small living by looking for recyclable items that can be sold. 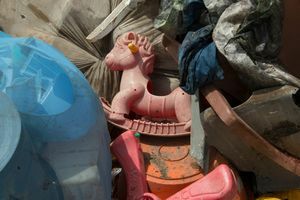 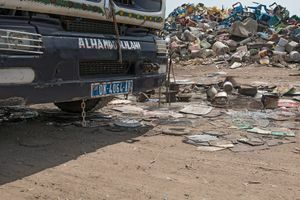 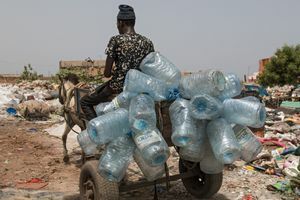 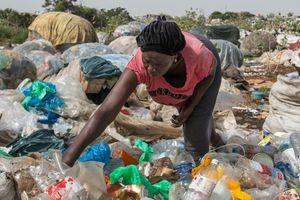 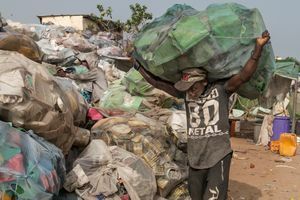 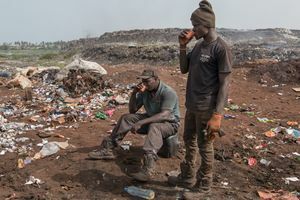 The Senegalese government is talking about closing the landfill for years but nothing has happened so far.